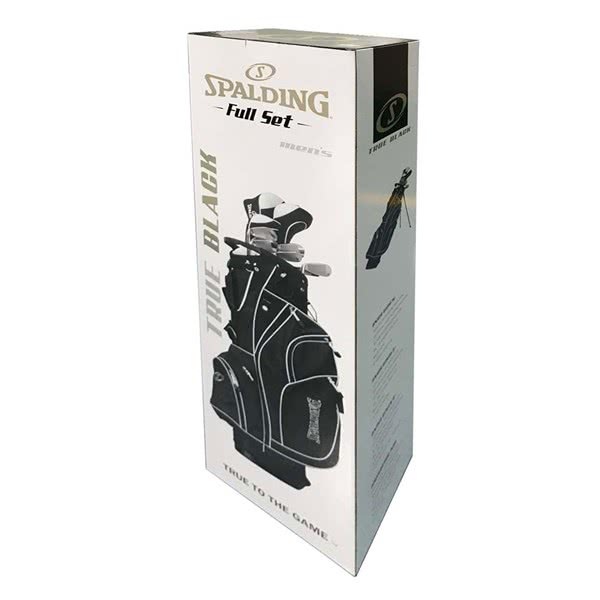 This Spalding Tour Black Complete Package Set features a 1” longer shaft design that is suitable for golfers over 6’2”. Golfers who are taller generally benefit from longer golf clubs as it improves their posture which leads to more consistent ball striking and forgiveness. 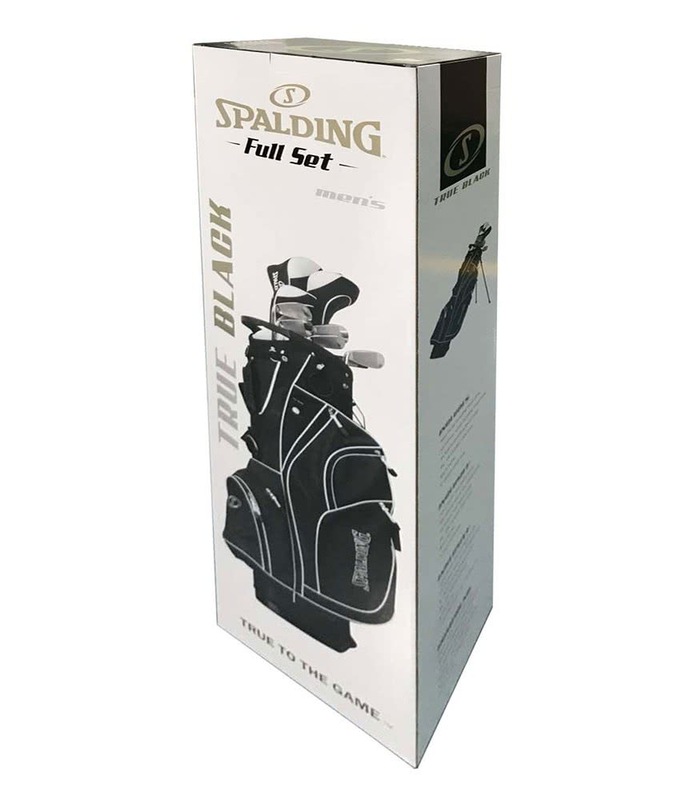 Spalding have used all the latest technologies to provide a set of golf clubs that deliver forgiveness, distance and control. 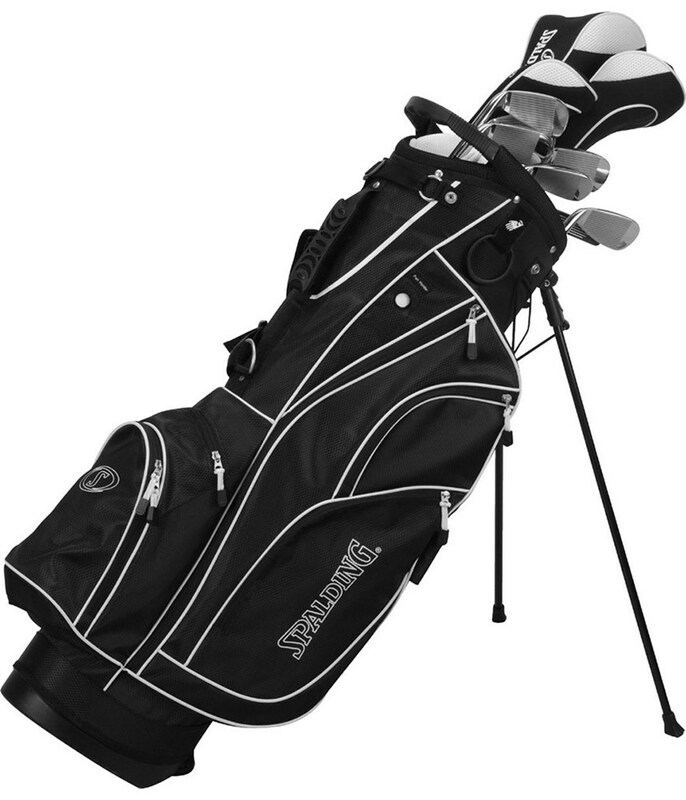 Also included in the package set is a lightweight stand bag that provides spacious room for everything that you need to carry around. 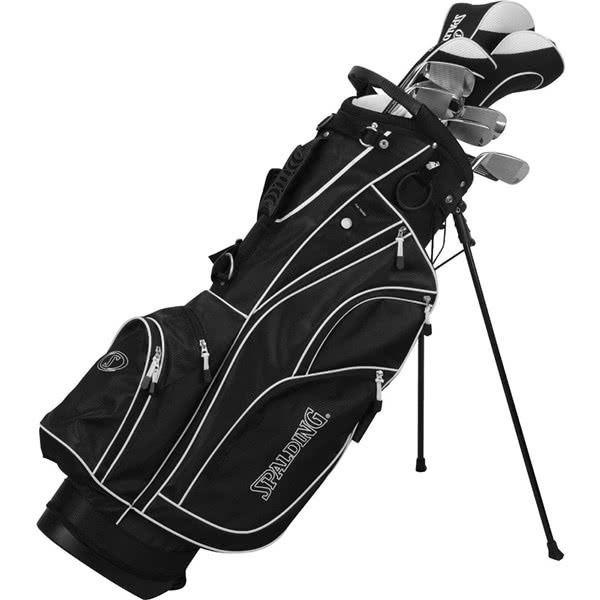 The bag also features a double strap system that will enhance carry comfort. Driver (10.5°) - The large 460cc head shape maximises perimeter weighting and produces a higher, more forgiving ball flight for excellent accuracy control off the tee. #3 Fairway Wood - The versatile head shape of the fairway will allow you to hit consistently from the tee, fairway or even out of light rough. 4H Hybrids - The wide sole design of the hybrid makes it especially easy to get airborne. Optimised weighting in the heel and toe area of the club head provides enhanced forgiveness and stability on off-centre strikes. 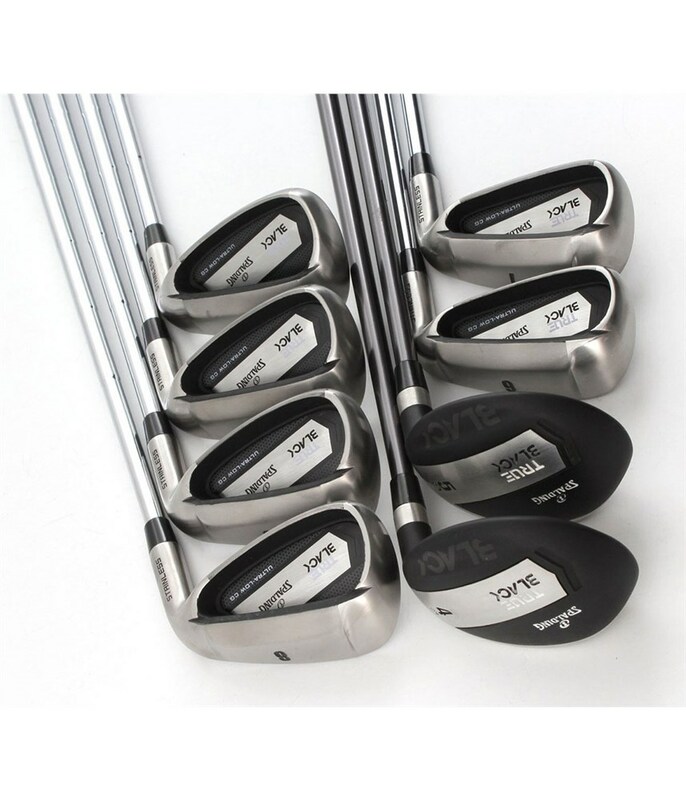 6-SW Irons - The wide sole and extreme perimeter weighting on each of the oversize irons delivers a high ball flight with added distance, forgiveness and stability across the whole face. Putter - A classic design with a heel-toe weighted design produces easy and consistent alignment with excellent distance and accuracy control. Stand Bag - A functional bag that caters for your every need. Spalding have used a lightweight low torque graphite shaft in the driver, fairway and hybrid to help you gain distance without sacrificing accuracy with matching headcovers. 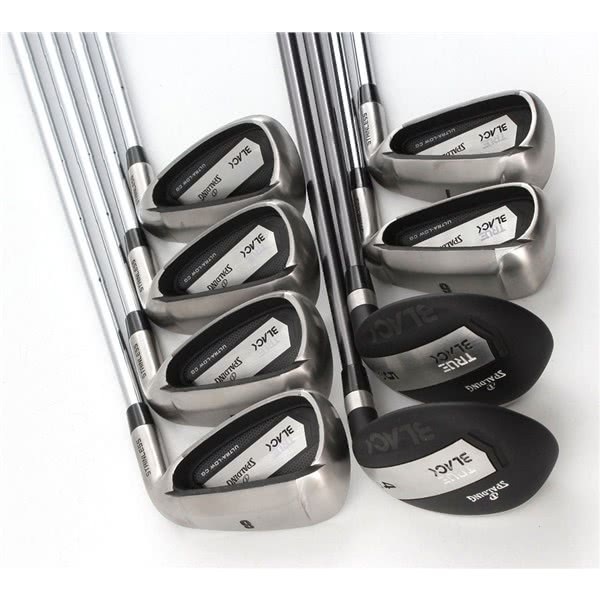 A lightweight steel shaft has been used on the irons to provide enhanced stability, distance control and accuracy.